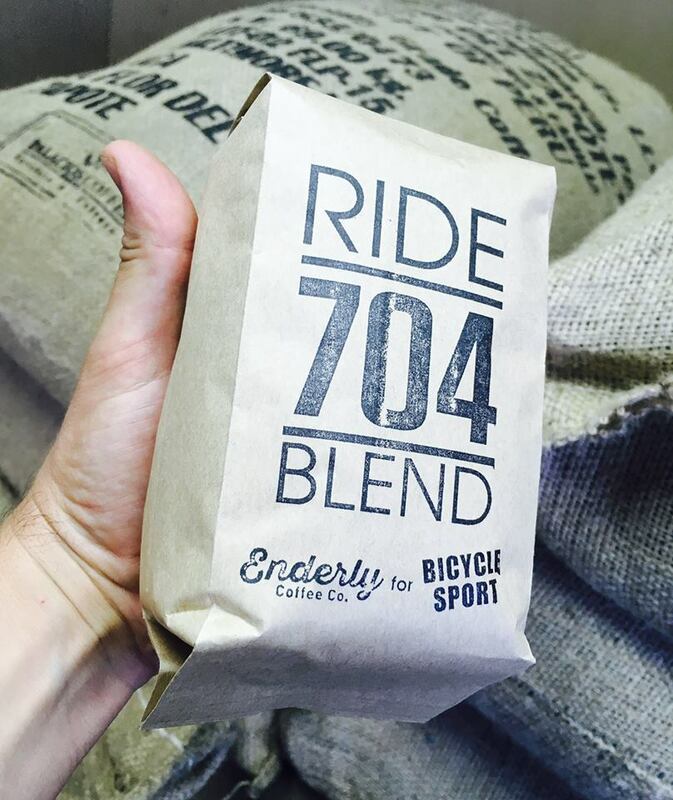 Bean Blog — Enderly Coffee Co. They Made an Urban Promise... You Should, too. If a high school student told you he left gang life behind because of the influence of an elementary school girl, would you believe him? That’s Ethan and Jennifer’s story… and a version of MANY of the stories about the bonds that are forged between older and younger students at UrbanPromise Charlotte! The mission of UrbanPromise is to provide Charlotte's children and youth with the spiritual, academic, and social development necessary to become Christian leaders determined to restore their communities. The organization employs 85 high schoolers (who they call StreetLeaders) to serve as mentors, counselors, teachers, and leaders for the 250 younger students in their out-of-school-time and summer programs taking place in three of Charlotte’s most vulnerable neighborhoods. At UrbanPromise Charlotte, StreetLeaders are the true heroes of the organization! UrbanPromise provides StreetLeaders with extensive job training, tutoring, college preparation, and access to counseling and mentoring to help them succeed in and outside of the program. Over the last 4 years, 100% of StreetLeaders have graduated high school on-time and received college acceptance! Most are the first in their families to continue their education. As a reminder, we have the custom Urban Promise Blend available for you in our shop and online. We are donating 100% of the proceeds of each bag back to Urban Promise, so it is a true win-win. Just recently I listened to the QC Family Tree’s podcast where community leader, Helms Jarrell, states that “in modernity, mobility trumps roots” - we move more than put down roots, but not the QC Family Tree. They are planted in West Charlotte - loving and growing together in West Charlotte for the past 10 + years as a neighborhood-based community development and discipleship group. They are partners and friends with Tony & Becky, and of course, Enderly fans, as we’ve been a part of their family and them our’s. 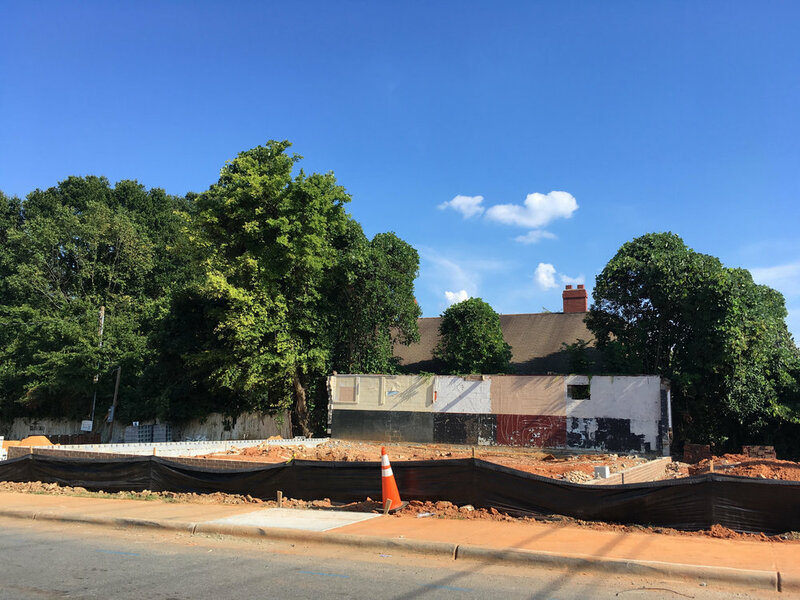 Helms also states “that placelessness is the primary source of alienation.” Enter Enderly - it’s your place - we’re rooted in West Charlotte and we’re your “Perks”. Come by and support QC Family Tree when purchasing a QC Family Tree blend this month or ask us about how to volunteer or support QC Family Tree’s community-building work year-round. They’re waiting in foster families for decisions. They’re waiting in courtrooms for hearings. They’re waiting to be held, to feel included. Foster Village Charlotte was founded to connect foster families who wait alongside these children - lovingly holding hands, wiping noses, brushing teeth, feeding bellies, finding costumes, signing paperwork, carpooling to school, supervising visits. Geovanni Leiva wiped the sweat from his brow as he loaded the last bags of coffee beans on their way from his Guatemalan farm to the U.S. market. It had taken three years for this crop to reach maturity and his hopes for a better life were tied to the price he would receive for this commodity that is susceptible to notoriously wild market swings. In years past, he could only hope for a good price from his local buyer since he would only see a fraction of the total profit his labor-intensive crop would bring in the export market. Now his worries have eased because of his relationship with roasters like Enderly Coffee Company who seek to ethically source beans, some directly from growers, ensuring a fair-market price, and more of the profits that previously went to exporters staying with the farmers. Premiums are also paid for gourmet beans that meet exacting standards for quality, providing additional incentives to continually improve their growing techniques, and strive for the highest quality harvests possible. As Geovanni describes it, "Leiva's mission is to break cycles of poverty and give hope where there has never been before. We do it by locking arms with coffee lovers and like-minded people. Tony Santoro, founder of Enderly Coffee, was one of the very first people that said yes to our call to join our Familia back n 2013. Through our partnership, we have been able to provide clean water, fund a school and build homes for single moms. Our future depends on more partnerships like this. Thank you Enderly Coffee for choosing Leiva's!" There’s a confusing array of certifications aimed at everything from helping farmers to saving the environment. In a recent article by Creative Loafing, Counter Culture Coffee’s Meredith Taylor said, "No one certification covers everything. For example, organic is great if you're concerned about environmental sustainability. It's the same with the Rainforest Alliance. However, neither of those certifications addresses the social conditions or the economic sustainability of growing and selling coffee. Fair trade came in and filled that gap on the social side of things." We were asked recently by a prospective customer if Enderly Coffee is Fair Trade certified and Tony responds, "We value Fair Trade, but look more at Direct Trade because it is about relationships, buying from a farmer year to year helping them to be more sustainable, while paying them in a way that allows them to keep more of their margin." Farmers have historically been paid very little for the labor-intensive process of growing coffee, especially since it can take up to four years for a coffee plant to produce cherries and most farmers make less than $2,000 per year. Fair Trade seeks to correct this imbalance, but it’s not without its drawbacks. Direct Trade aims to improve on this noble cause by establishing personal relationships between farmers and retailers, eliminating the co-op layer that adds overhead and tends to diminish the feedback loop that contributes to quality improvements and incentives for producing premium beans. Direct Trade has been adopted by notable roasters including our neighbors Counter Culture in Durham, NC, and Union all the way across the pond in the UK. To see why this model is catching on, the following infographic helps illustrate the differences. With certifications that seek to protect the environment, animals, and farmers, including fair trade, direct trade, organic, rainforest alliance, and bird friendly, it’s no wonder we’re perplexed when we’re just trying to find a good cup of coffee to start the day. But if the result of all of this is better coffee while helping a grower provide clean water, fund a school, and build homes for single moms, then we’re all-in on this direct trade journey. James Jones is the third. He’s preceded by his father and grandfather. He’s also our new Hospitality Facilitator at Enderly, what we hope to be a third place to gather - not your home or mine, not your place of employment, but a home-away-from-home, everybody-knows-your-name place for QC neighbors to meet for a cup of responsibly grown, people-centric coffee. That is James too = people focused, responsibly grown and mentored by Ryan Grammatico through Right Moves for Youth; Ryan is the man behind our coffee roaster, much of the time. Both Ryan and James are openly candid, refreshingly professional and youthful. Solid and winsome! James previously worked with the nonprofit, Wings for Kids, teaching 4th grade boys social and emotional skills. There’s no taller task that requires more patience than to teach a 4th grade boy how to talk about his emotions. And on past Mondays, James steps away from his teaching role and puts on his student hat, learning from Tony - visiting coffee shops around CLT, helping with packaging, building coffee knowledge - cupping, pinpointing flavors, roasting, perfecting the espresso as of late. He told me he feels like he’s getting a good mix of everything he’s going to need. As our shop was built up one beam at a time, we’re happy to have James to help with creating the community focus for our shop’s grand opening, (*insert drum roll here)......which is SOON! We are currently in our "Soft Opening" from Tuesday to Saturday, 7am - 2pm. This Soft Opening will allow us to refine our practice and procedures and finalize menu design. Please stop by any help us "practice". Part of the Enderly goal is to make sure whomever comes into the shop is as pleased as possible and has a great experience - James is our coffee barista making that happen! James describes himself as someone who “brings energy - that’s been my whole life, high energy, positivity, great smile….It’s already been a great experience working with Enderly...see the process of the shop open….growth...move forward...I want to open up my own business one day, so my goal is to learn the ins and outs, building those relationships. If I can leave, feeling like I've done something, than I've done something right." Like James said, our hope is you’ll visit Enderly Coffee Co. leaving feeling like you’ve done something. Yes, you have a cup of coffee in your hand, but you've been greeted by name with your order already on your barista's mind, you've waved at regulars and all supporting Enderly, a company who is all about people - our shop, a connecting point in CLT, and be assured that James will do his darndest to know your order - consider it your place. Welcome home! 1. Tell us a little about the history behind ROOTS...We know you started out as a food truck. What's the timeline - what happened next? ROOTS started as a food truck in April 2011. It was just me and whomever I could find to take money out in front of the truck. After a couple years, I hired more people and bought two additional food trucks. Then, in March 2016, I decided to to sell the trucks and focus our business on catering. The food truck scene was growing more saturated; the quality of food trucks was starting to decline, so we decided to get out of it. Since then, we have been catering weddings, holiday parties, corporate functions, gala and social events. In January of this year, I saw the leasing sign in the window at the old Cluck ‘n Cup in South End and decided to go for our first brick and mortar. 2. What have been the biggest lessons learned (good and bad) about committing to brick and mortar? The good thing is that we now have a physical presence in and for the community, and also a presence that actively promotes the catering side of our company. The bad news is that there is never an off day like there is for catering. The café is open all day, every day. 3. What should people know about ROOTS? We are committed to creating experiences and food that are just a little bit different. We are not trying to reinvent the wheel, but we just want to always do things a little differently, and, in turn, better. 4. What makes ROOTS unique? ROOTS Catering and ROOTS Café are both unique in the way that they are very personal experiences and that comes from the vision, talent, and skills of people we have hired. In both businesses, our staff will provide you with what you want and need, also making sure you’re having a great day overall. 5. Who are your customers? 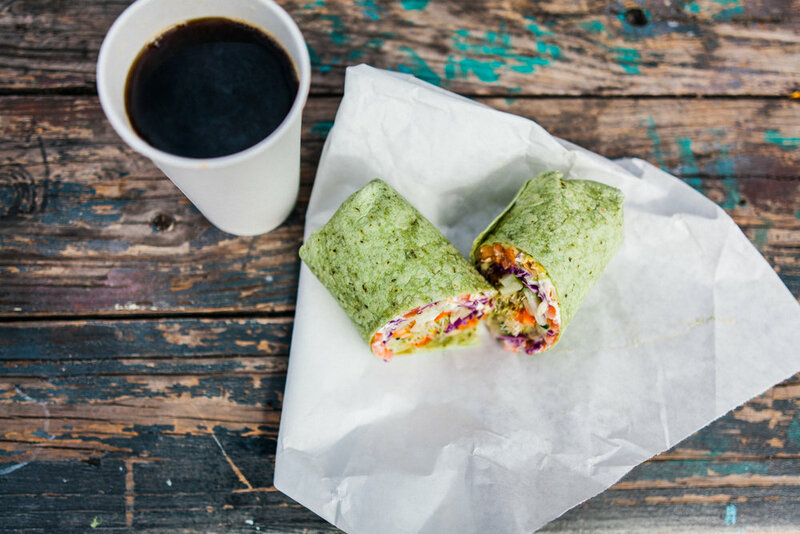 Do you have regulars, foodie groupies who found the food truck and now come to your restaurant? We serve a lots of regulars who used to be regulars on our food truck. Our customers are mainly folks from the surrounding neighborhood, which is what we want. We want to be a place for our neighbors. 6. What's your background? How'd you get to where you are with ROOTS? I started out cooking as a line cook at a dive seafood bar in College Park, MD while attending the University of Maryland. I took to it very quickly, and I really enjoyed it, so much so that I decided to move to Charlotte and attend Johnson & Wales. I was part of the inaugural class in 2008. From there, I took a Job at Carmel Country Club as a Sous Chef/Assistant Food and Beverage Manager. After that, I opened a company called Cooperative Connections in which we sourced local food for restaurants. We were the middle men between the small, local farms and the Charlotte chefs. The local food scene wasn’t quite there yet, and I missed the kitchen so ,I used those contacts to source my food for the first food truck. 7. Where do you locally source your ingredients from - who are your other partners, besides Enderly? We rely heavily and support fully a lot of local and regional partners including: Revolution Foods, Cornucopia Foods, Barbee Farms, Rowlands Row, Burton Farms, Local Breweries, Up Dog Kombucha, Carolina Kettle Potato Chips - I am sure there are a bunch more I am missing. 8. "Handcrafted with Love" is on your website - elaborate! Absolutely everything that comes from either the ROOTS Catering or ROOTS Café kitchen is designed, created, and crafted with love and respect; we believe this is what makes a unique, quality culinary experience more possible every, single day. 9. How did ROOTS connect with Enderly Coffee? And Why Enderly? We tasted coffee form various local roasters in Charlotte, and we met with each of them, as well. We chose Enderly because of the quality, social consciousness, and, frankly, because I liked Tony right off the bat. 10. What do Enderly and ROOTS have in common? 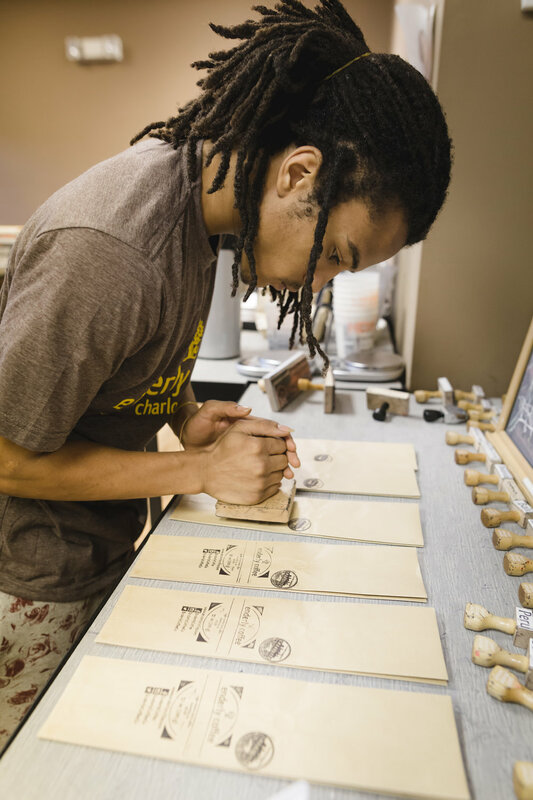 Just as you do at Enderly, the ROOTS brands believe in the power, potential, and possibility of the local community; we are not only a stand for who and what is already here and thriving, but also what’s more possible when we rely on and stand for each other and the products, services, and experiences we’re actively creating for the people of Charlotte and North Carolina. When we support each other, everyone wins. If you look close, we have a shiny new foundation in this picture. Since then, plumbing has all been connected in and we are moving forward from there. Yes construction does not always fit into MY timeline, but it will be WELL worth the wait, we promise. Love you guys! Tony, Becky & Team! We at Enderly are ready to put our roots down in Enderly Park and hope you'll share stories about yours. Also, be sure to stop by ROOTS' amazingly delicious cafe in South End and plan to hop on over to Enderly Park in the near future for a cup of coffee or an afternoon treat. Rhino Market's New Location is a Hop, Skip and Jump from Romare Bearden - Get There! 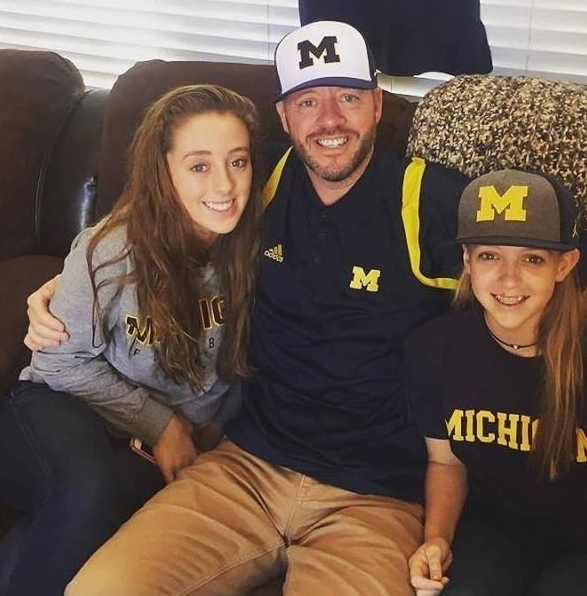 We love Rob - he's Detroit, he's a dad, he's an entrepreneur living the dream - he's the man behind Rhino Market. 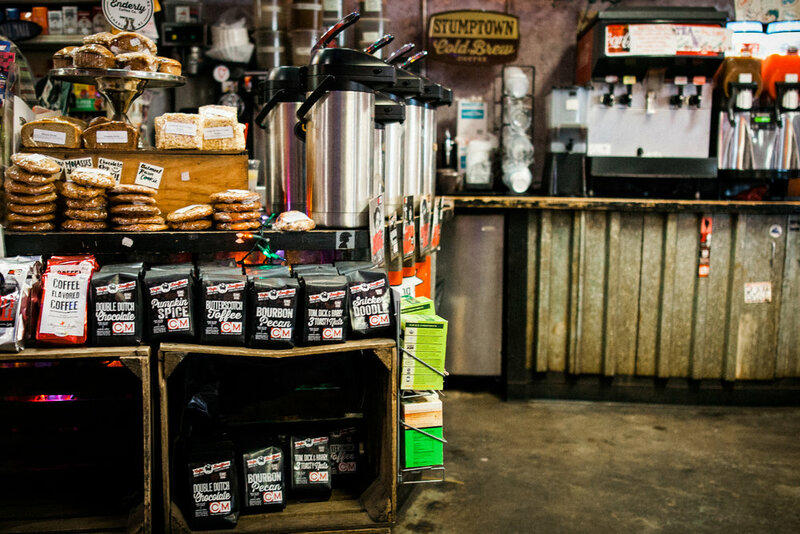 Enderly is humbled to be a top-selling coffee at Rhino Market. We value our relationship with Rhino and Rob. And as Rob told me, the feeling's mutual. "I think having a relationship with a purveyor (Enderly) on the Westside was most intriguing. What a great synergy... we sell a lot of coffee and having a roaster in our "backyard" was awesome," Rob said. Rhino and Enderly share the same people, almost the same neighborhood, and Tony was the first coffee roaster to approach Rob about doing business there. Plus, Tony and Rob are both from Detroit, where Rob told me there were NOT Rhino Market-esque places. Instead, they both grew up with "party stores" - a place to get pop (Faygo, Vernors), beer, chips (Better Made), wine, snacks, newspapers and even a good submarine sandwich. For Tony it was the In-n-Out Party Store in Rochester Hills. Rhino, on the other hand, carries local, fabulous fare - the best coffee, Chicken Tortas (If you haven't tried them yet, you must! 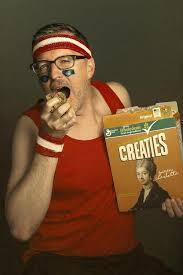 ), breakfast burritos, goodies and treats in all shapes and sizes and craft beers. Plus, every time I pop in - local lyrics and crowd favorites are being strummed by brave, good people for a mix of commercial real estate folk, graphic designers, start up types, young professionals, tradesmen, shop owners, small biz owners, you name them, they're there. Rhino's new location is opening TODAY (August 21st), eclipse day. Why not grab a bite, beer, beverage and head to Romare Bearden's fountains and catch the eclipse with fabulous local fare and folks, the best kind of folks. 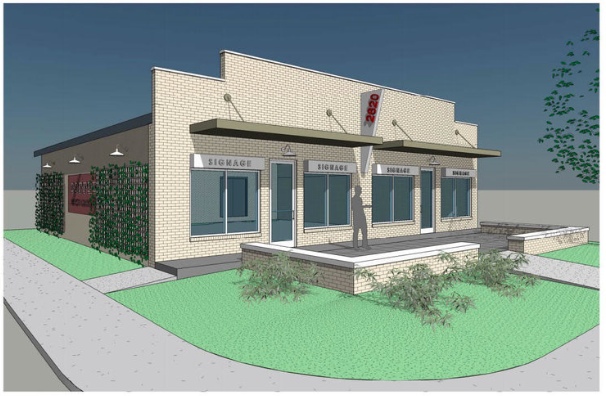 Rhino's new hot spot will be popping, so good luck finding a seat. 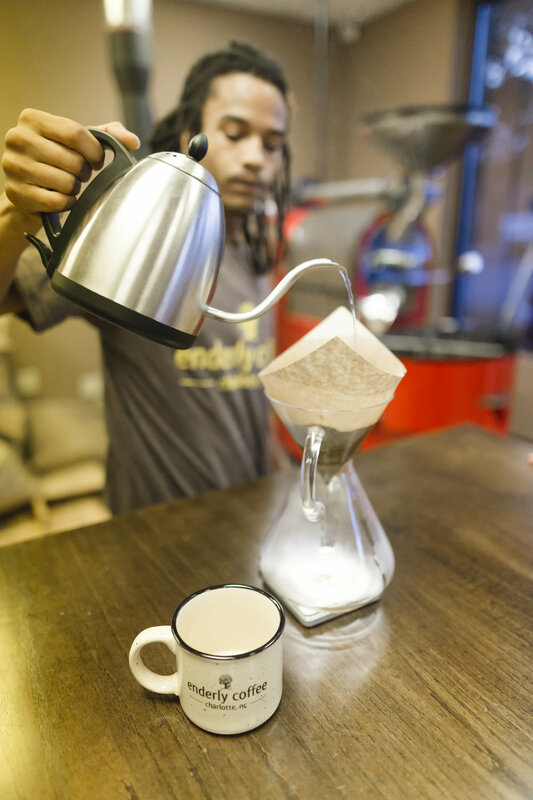 Our beans'll be available to pick up on your way in or out of the office - Westside or Uptown at Rhino. Congrats to Rob and long live the Rhino! How Can 10 Companies Own All the World's Food?!! When I first laid eyes on this infographic, I was overwhelmed! Really, I am. I'm baffled how we got here from many of our ancestors working on or owning farmland, growing their own food to inevitably supporting these national corporations with almost every purchase. Dumbfounded. It just made me examine where my money is going - where my mouth is or to the Big 10? I talk local, but am I supporting those sticking their necks out and creating their own brand when maybe large brand product is cheaper? What is worth it? Keeping a few extra dollars or investing in a quality, local brand where I can help support those in the community who are pouring back into the lives of other Charlotteans, our city, and our economy? I get it, it is a tough juggle. But is it powerful to be aware of our own ability and impact. Shopping local makes me proud to buy. It is not just trendy. I am a proud local shopper. There is a feeling I get when I load up on produce from The Mecklenburg County Market rather than the local chain grocer. When I shop local I am not only supporting local businesses, but I am giving others a chance for job opportunity and growth, allowing these businesses to pay taxes, supporting the creation of something valuable and unique for our city, and simply making our city a better place to live. Can't wait until the shop opens and you can come shop local with us. See you there! Here is a list of local businesses who choose to buy our product. Consider stopping by these spots and keep some more dollars in our Charlotte economy. After speed dating with Common Market (CM) owners, Chuck Barger and Blake Barnes, for six months, Graham Worth (formerly holding down the fort in an office cubicle for 8 years) linked up with CM as they were exploring expansion/moving. As Graham put it, he has "zero deli-running experience, but I was wanting to get involved in something local and unique, where our individual decision making makes a difference every day and is exciting...gets you out of bed in the morning...always a new problem, different decision....it's cool. I would never look back at this point." Tony can relate! That's why Enderly is proud to be sold at Common Market because they are local and unique, and they're all about the neighborhoods where they exist. The new Oakwold store officially opens May 3rd, and Oakhurst and Cotswold neighbors can then walk to get Enderly or a beer or a Ferero Rocher (that's what I always end up grabbing last minute at the counter!) or all three! Carley Englander, on the other hand, is a self-proclaimed "first generation CM employee" who has known Blake Barnes since high school. She wears many hats and titles, but my favorite is "Minister of Kitchen Affairs"! Doesn't that sound intense and intriguing all at once? Carley lives on the Westside near Enderly and is one of our favorites. Carley told me, "We really love Enderly Coffee not just for their coffee, but for the people that are Enderly. We appreciate a company that supports their neighborhood as Tony works hard to do. We love the neighborhoods we are in and want to be supportive of them as they are of us. I actually live on the Westside near Enderly Park and am thrilled that they will be opening a store front there! Now I can get great coffee and community no matter where I go! The Westside is only being made cooler by getting a legit coffee shop!" Cat's out of the bag! See ya at CM or at our new shop! More details to come. Cheers to the CM for continuing the inclusivity with the new name - Oakhurst & Cotswold, you can't say they're not trying to include you both. Behind the scenes at Enderly Coffee is big, burlap sacks of beans, cups left over from cupping, a giant red roaster - bags and bags and bags and bags of beans. And most importantly, the people whom we love. He's most likely had his hands on your bag o' beans - meet Marquell Pettiford. He has had his hands in Enderly Coffee long enough he has earned the title "Packaging Aficionado" on his business card. I met Marquell when first visiting the Enderly warehouse. We immediately had a connection because I taught at Harding University High School where he attended for awhile. We reminisced to see if we remembered similar people, and as an English teacher I dug a bit deeper to get him talking about his love for writing lyrics. 4. Get married and have a bunch of kids, so they won't be lonely. Eventually, buy a house, start a business. Whatever God calls me to do. Where are you in school right now for computer engineering? I'm currently enrolled at CPCC for my Associates Degree. Then, I will transfer over to a four year college, preferrably whomever I can play football for and is in state. What kind of father do you want to be? Explain and describe. I want to be an active father. Active as in attending school events helping with school work. Helping coach my child (son) hopefully, in sports or with girls. Spend a lot of time outside in the world; just to talk and understand the world, so my child can grow to be an educated black man like myself. What has God called you to do right now? I feel like God has called me to teach the people I'm closest to. Teach whatever I can, because God is teaching me so many different things and I can use this to bless others. I often find myself in places I never thought I would be (like working in the coffee industry), and I figured it's because I can use what I'm learning to teach the people I'm closest to. Tell me about your writing/music...songs, inspiration, what you're doing with it. When you started? I just want to send a positive message to our youth through my music. Show them that there is more to the world than what social media and the radio say. I want to stress the fact that being real with yourself can help you be real with others. 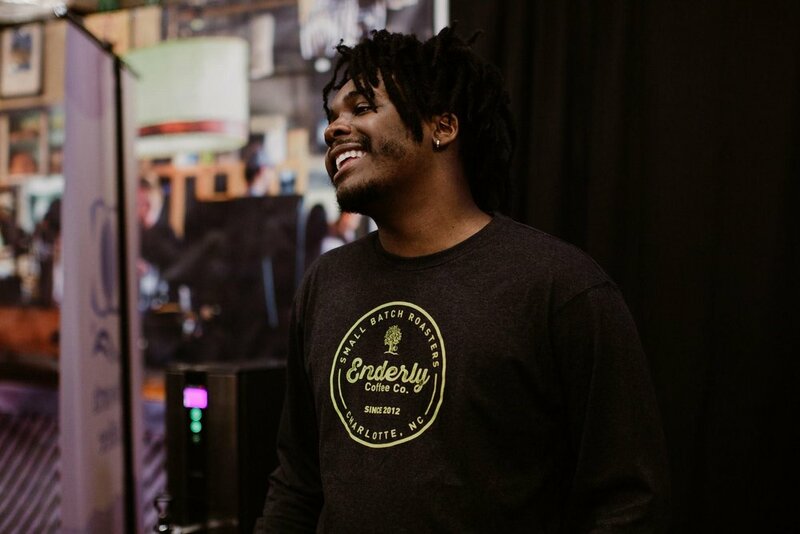 I want to connect with the people on a personal level (Can you tell why Marquell is an asset at Enderly? He's about people too!). A lot of times we find ourselves portraying something that we're not or can't have, and the world makes us feel like we're lame or this and that if we don't be what they want us to be, and our younger kids are vulnerable to this. I want to show them that anyone can make it, never limit yourself. It gets deeper than just making music for me. I feel like I can impact people's lives, and people would be able to relate to me and to how I feel in my music. My circumstances now, being around so many lost young people is really my motivation. I want to be able to say that I overcame adversity; when the world was made to be against me, I beat the system. Knowing that so many people counted me out, even when I was at my lowest point I still stayed positive. My family pushed me hard to stay focused because it's so easy to lose everything I worked for. How did you first get connected with Enderly? I met Tony through a non-profit called QC Family Tree. I have been connected with the Family Tree for about 8-9 years helping with the community and mission trips. They are in Enderly Park. I met Tony at a coffee event I was working with The Family Tree and soon worked with Tony at a farmers market. We met and talked about how I can do my job to the best of my ability, at first. Over time we built a personal relationship which has spilled over into a mentorship. He teaches me how to make business decisions and manage my money. Marquell is an asset to Enderly. He's our people and so are you. Thanks for supporting us. Buy a bag of beans here. There’s a reason our Cyimbili Coffee is often sold out. It’s bold, smooth, balanced dark roast is our most popular bean to date, for many it is a must-have daily staple. We are thankful because this bag of coffee is the result of ALARM's attempt to rejuvenate the Cyimbili farm on the shores of Lake Kivu in Western Rwanda, to bring hope again to the region. These hills were once the most prominent coffee production plantations. In 1994, the Rwandan Genocide destroyed the plantation, and ALARM, a ministry in this region, is focusing their efforts on not just rebuilding, but toward teaching and assisting people to help themselves. They use the SEES model to measure the Spiritual, Economic, Environmental and Social impact for the community development project. 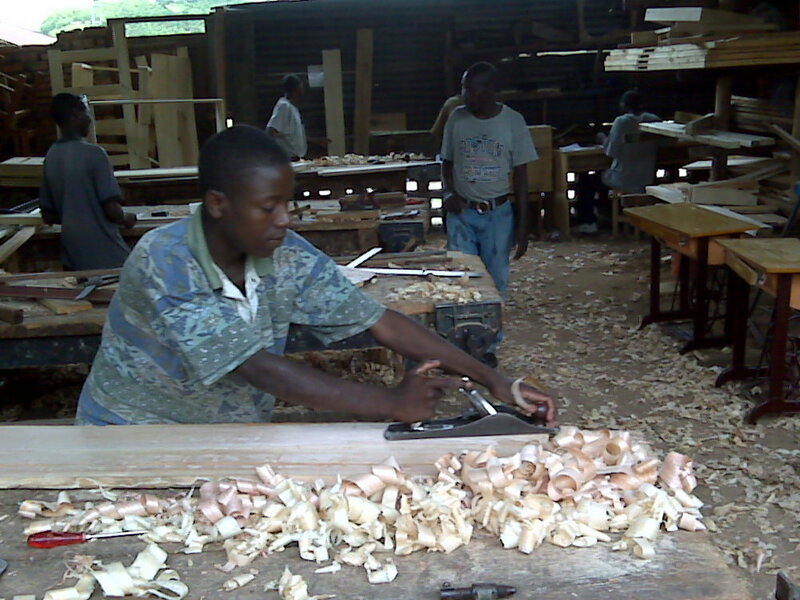 The Cyimbili plantation provides jobs for the entire community in the surrounding areas. 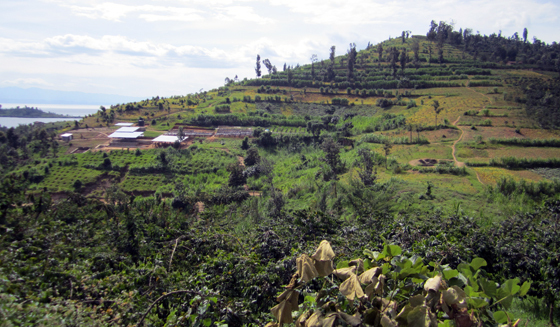 Cyimbili has 39,370+ trees planted, which have produced coffee beans for the 2017 harvest. To care for these trees, it takes 170 full-time workers. During harvest time, it requires an additional 150 temporary workers. The plantation pays their workers twice the amount other coffee plantations pay their workers. This drives up the expenses of producing the coffee, but making a profit is only one of the factors that is important in this holistic Kingdom business. The plantation provides a great opportunity for evangelism and discipleship for the employees, suppliers, and visitors that visit the plantation. Not all employees are believers; but most are, but that is not a requirement to be an employee. The employees start their day at 6:30 a.m. with a chapel where there is worship, prayer and a devotional. There is a school on the plantation for grades 1 through 12. These classes are provided at a very nominal cost, and there are scholarships available to help the students with financial needs. There is a medical clinic on the plantation that is staffed by the Rwandan Government Health Care Works. The plantation provides the employees with health insurance, and the clinic provides health care services to the employees and other residents in the community. Cyimbili creates wastewater in the process of producing green coffee beans. They are beginning a project to correct this problem and put a process in place that will keep this water from reaching Lake Kivu. They are in the process of raising funds for the construction of this system. 227 km (141 miles) of beautiful landscapes, including rolling hills and clear water. The entire trek can be completed in a 10-day hike. However, the trip can be done in sections if travelers do not have the time to complete the entire trail. Trails give stunning views of the Lake Kivu coastline and offer adventurous travelers an exciting way to discover Rwanda. Cyimbili has a guesthouse where guests can rent a room and meals while on the trail. This is another source of income to move the project towards sustainability. The employees raise all the vegetables for feeding the guests from a large garden they maintain. The goal for this project is moving towards sustainably. Please continue to pray for Cyimbili as the employees are working hard to become sustainable. 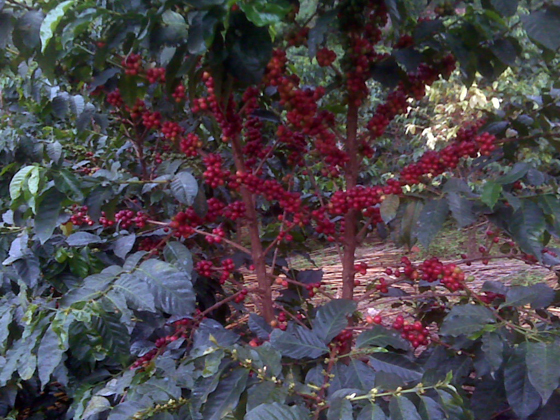 Buy our coffee here and support the Cyimbili plantation. How is Enderly like Kia? Enderly is proud to partner with the Balzac Brothers who imports Rainforest Alliance Certified Coffee. We're not like Melissa McCarthy in Kia's Super Bowl spot, running after every environmental cause, animal rights opportunity, but at Enderly, we do keep the environment in-mind because sustainability is key for the farmers' families' livelihood; we are proud to work with a company who is still committed to preserving the rainforest, the land, for the small farmers around the world and in the Tarrazu region's co-op in Costa Rica. Our partner, the Balzac Brothers Company, are the first importers to import a full container of the Rainforest Alliance Certified Coffee. I first chocked this up to an environmental sales pitch, but once I started digging, I gained an entirely new respect for the coffee they sell. What are Rainforest Alliance Certified Coffees? Coffee with this certification means a third party audits the farmer annually, "using a rigorous standard with detailed environmental, social and economic criteria. These criteria are designed to protect biodiversity, deliver financial benefits to farmers, and foster a culture of respect for workers and local communities." (*Rainforest Alliance). The Tarrazu region sustainable growing area in Costa Rica. Our medium-bodied, citrus noted coffee, La Pastora, hails from this region. "Decades ago, coffee farms were virtually indistinguishable from the surrounding forest. However, in the 1970s the introduction of a new hybrid coffee plant requiring agrochemicals and full-sun exposure led many farmers to cut down their forests and abandon their traditional ways. This high-tech approach to farming has devastated lands throughout the tropics." "On Rainforest Alliance Certified™ farms, coffee grows in harmony with nature: soils are healthy, waterways are protected, trash is reduced or recycled, wildlife thrives and migratory bird habitat flourishes. In addition, hundreds of farms we work with have adopted climate-smart techniques that sequester carbon. Most importantly, farm communities learn the importance of protecting their natural resources, and they acquire the tools and resources to do so." "Since 1995, the Rainforest Alliance has strengthened the position of coffee farmers by training them in methods that boost yields and safeguard the health of the land for future generations. All of this is part of [their] global strategy to ensure the long-term well-being of farm communities, as well as the forests and wildlife on which we all depend" (*Rainforest Alliance). Rainforest Alliance certification also promotes decent living and working conditions for workers, gender equity and access to education for children in farm communities, hence the school at the co-op in Tarrazu. We applaud the Balzac Brothers for pioneering the importation of Rainforest Alliance Certified Coffee (and on their centennial anniversary!). We are proud to bring their beans hailing from the co-op in the Tarrazu region to your cup, knowing each small farmer is paid fairly, given access to education and sustainably growing our prized beans - La Pastora. We're not jumping on environmental cause trains like Melissa because at Enderly we know who we are - we value relationships and that includes our relationship with the environment and suppliers who do the same. Reflections are sometimes painful, sometimes raw unearthed desires are dug up, left exposed. As Tony and Becky said goodbye to their dying neighbor in the early days of this year, they were forced to reflect on their journey - what led them to Enderly Park and what Enderly Coffee will be this year. You can view it as philanthropic if you like. Knowing Becky and Tony, their story goes far deeper than reflecting on their prized coffee beans. Down deep it is about relationships. It's not happenstance Tony and Becky are here in Charlotte, but it sure wasn't in their original plan. They left Michigan State University proudly wearing rose-colored glasses, education degrees under their arms like blueprints for teaching in Detroit's Brightmoor Neighborhood at City Mission Academy. Brightmoor neighborhood was purchased by investors in the 1960s, has been run down and abandoned, and is now full of homes sitting vacant. empty. broken. A place awaiting new beginnings and creativity, but Charlotte Mecklenburg School System was recruiting hard, also awaiting creativity, and Tony and Becky believed they could benefit from building their experience before helping to build community in Detroit. Thus (and thankfully), they found their place in Charlotte - Becky settled into a 3rd grade teacher position and Tony into a 5th grade teacher role, both spending most of their career in East Charlotte. However, they nestled across town into Enderly Park, building a nest for their kids who would come later, but also for 'their kids' - the next door neighbor who Becky and Tony tutored and the kids who would come over to climb trees or play football in the street. It was not uncommon for Becky to look out to door for Tony in the evening to find him under the street lights building relationships with the men in the surrounding houses or chatting on the neighbors porch, carrying a laundry basket full of laundry needing to be dried. People are what matter. Their new abode was complete with a front yard for games, a porch swing, and an open door for tutoring. During all of this Tony and Becky remembered their roots - coffee, what led them to each other. As their family grew, their roles changed and Becky began to work in the Children's Ministry at their church. Tony, after being awarded the Teacher of the Year award and reaching a point in his teaching career where he believed he could help others outside of the classroom just as much as inside the schoolhouse, his taste for coffee and love for roasting began to feel right. It even kept him up at night (roasting, of course). Their love for people, families, neighbors, church members - Charlotte - never wavered, yet their passion in the classroom did as they began to grow their family and they had to find balance between the near impossible job of a teacher and a young, growing family. They found themselves with hearts for others and with hands around great cups of coffee - why couldn't they venture out and combine them? There was no obligatory mission or agenda attached to their business. No, there was and just is love in crafting Enderly (after Enderly Park), one decision at a time. Each bean selected is researched, "interviewed" as Tony selects those where the farmer is taken care of through fair trade. The environment is carefully considered because we want our beans to give back to others, not strip the land. But with all of the attention on beans, the real attention is on people chosen to work at Enderly (check them out here - What a crew!?) and the people who surround the Santoros. They are all selected out of love - to invest in the community and to love those around them on their front porches, next door, their church members, Charlotte. You may not remember Tony and Becky, and that's okay. But know that it's not chance they are the people behind Enderly; their intentional journey has led them here. Enderly has and always will be about people - loving them, educating them, investing in them - that is what has always filled the Santoro's cups and always will. We are committed to finding beans you'll love, beans you'll feel proud to buy and share! Therefore, meet one of our new favorites - a full-bodied Peruvian bean with a chocolate/cherry flare. This region produces mostly SHG (Strictly High Grown) and is known for its quality. Our Peruvian beans comes from a single farm - named for its flora and fruit that grow right alongside the bean - La Flor del Zapote. It's located at some of the highest growing elevation in the "Amazon Andes", the Peruvian jungle, and is grown by Rony Lavan Guerrero and his family of 8. This is not their first growing season; they are part of a 40 year history of growing these beans, and you may not be able to taste it (luckily) but a whole lot of sweat goes into the art of growing their modest yield of 200 -250 qq per year. After the organically fertilized berries are picked (these cherries are where we get the beans you know and love), they are transported to the mill. processed, and then directly traded to the US by Farm to Roast, a company committed to ensuring the farm families get the profit they deserve for their hard work. As you probably know, there are plenty of others waiting to dip their hands into the pockets of the farmers, but we don't stand for that. We look for directly and fairly traded beans. This desire helps the Guerrero family make the most for their crop. The Guerrero's commitment to quality, family and direct trade is why we're bringing this bean to you! So, purchase this bean for long walks on the beach, long, lingering, lazy mornings or just a jaunt to the office - La Flor del Zapote is up for it all! Note: If you're interested in taking a cupping class and learning more in developing a persnickety palate (we encourage this because you can really learn what you like), let us know. We'd love to teach you! Sign up below to stay informed on when upcoming cupping classes are available. Sign up to receive updates on events, classes, and exciting news!